Judging by the number of forecourts in the centres of our major cities, car hire has become a major business. Car-hire firms used to rely on two core markets - businesses needing occasional hire or fleets (the bulk of the turnover in cities) and the tourist market. The latter used to only be significant in resorts, but the increasing popularity of city breaks means that more urban car hire firms are receiving the bulk of their trade from tourists. The last few years have seen the emergence of another sector of the market. Many people, particularly in London and other large cities, forego the expensive option of owning a car as public transport is a cheaper and more convenient day-to-day way to get around. But they still occasionally need their own wheels, and will often rely on the services of a car-hire company. The advantages of leasing cars are increasingly compelling for businesses as motoring costs continue to rise. The result of this market expansion is that car hire is no longer dominated by a number of multinational brands. A number of niche brands have emerged, with USPs including eco-friendly vehicles, a gap in the market spotted by Climate Cars founder Nicko Williamson, and innovative ideas like Whipcar, which has pioneered peer-to-peer car hire. Local independent businesses have, of course, always been strong in this sector but increasingly the prospective owner has the option of entering into franchise agreements with the likes of Eurodrive or Budget. Car hire is a reasonably simple business to understand. Besides wages and property costs, the main expenditure will be the fleet of cars to be hired out and their subsequent maintenance. 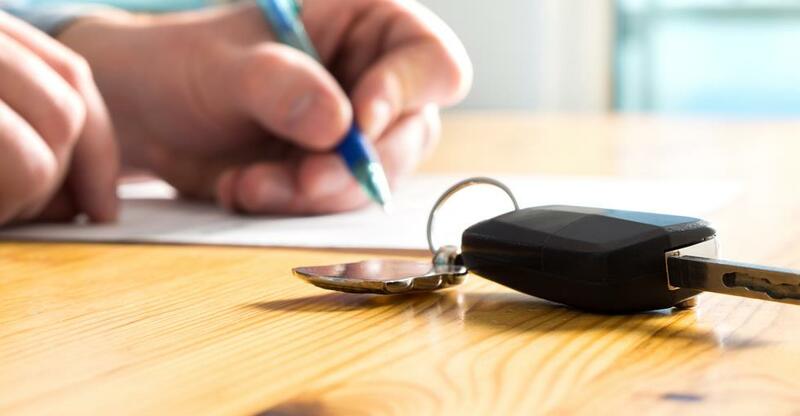 Unfortunately, this means that buying a car hire firm can be quite expensive - remember that in our lives, cars are often second only to houses in terms of cost. And a business will need to own several. However, if you work through a car-hire franchise the bulk-buying ability of the parent will substantially lower this cost. But it is still not to be sniffed at; Eurodrive, for example, asks for an initial franchise fee of £19,500 and for proof that you have working capital of between £35k and £55k. It's harder to price individual businesses as they can vary enormously in size, turnover and cost - businesses currently for sale on our site vary from just over £100k right through to over £1m. Unless you are a qualified mechanic with extensive experience of car maintenance, you will also need to employ qualified staff. The main source of income is the hire charge, which needs to reflect the depreciation of the car during the time it is hired out. This will not just depend on the ageing of the vehicle during that period, it will also vary according to the miles driven. Therefore, some car hire firms have lower per day charges and make a levy on the miles driven; others factor the average cost in and offer 'unlimited miles'. Obviously firms charge over and above the actual value in order to make a profit. The hire charge is not just depreciation. An important part of it will be the insurance for the vehicle, and many firms make a great deal of their profit by basically acting as insurance brokers. Any vehicle hired will need to be insured not just for third-party incidents but also against any losses you incur as a firm as a result of accidents or damage. Hirers will need to pay an excess on any damage to the insurers, normally between £150 and £500. Companies can also make a profit by selling additional excess waiver insurance to hirers that reduces this figure to a more manageable level. Of course, much of this goes to the insurer, but a cut will stay with the broker. However, car hire firms also make money through selling petrol. This statement might raise a few eyebrows, but if hirers bring back vehicles with less fuel than at the time of hiring, then the firm will charge them for the difference - at a premium. Late charges and administration fees on penalty charges are other sources of cash, although the former can be a mixed blessing as it can mean that the schedule for other hirers is disrupted. Making all this add up and produce profit can be a challenging task. Franchises tend to produce menus of alternatives or enforce their own system which can make the process easier although which in turn means you will have less autonomy. Franchises, however, offer national booking systems which will refer local customers to yourself, and you will benefit by gaining custom through their marketing and advertising campaigns. However, local, smaller operators can have an extremely loyal base - a quick flick through the company's books (a must before considering buying any business) will reveal quite how profitable the car hire firm is. Cars are complicated and potentially dangerous machines and it can be stressful ensuring that well-maintained, clean and safe cars are delivered to sometimes anxious customers at the right time. It's also hard to ensure customers are happy with the service they receive. However, compared to some service industries, the hours are not long and weekends, with the exception of Saturday morning, are often free. As owning a car becomes more expensive and weekend breaks and holidays become more frequent, car hire firms are looking to a rosy future. Whether it's a franchise or an independent firm, the profits in this growing market are certainly there to be made.